Easter is right around the corner. 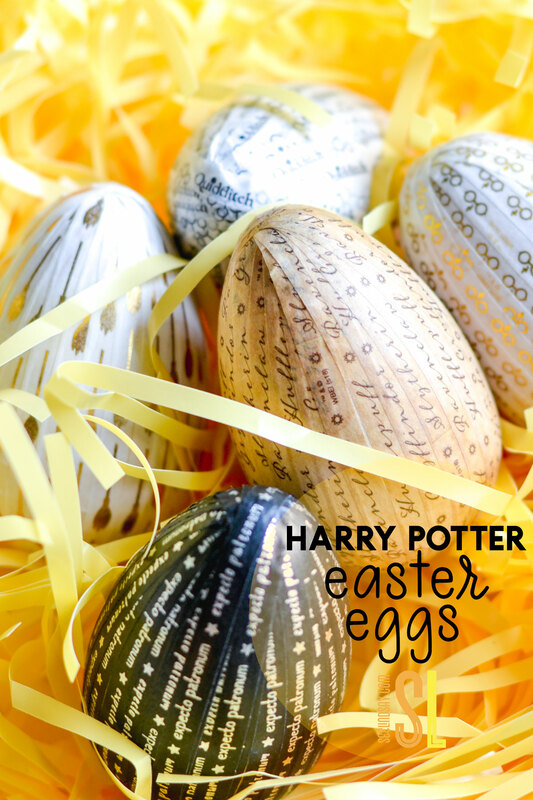 Create your very own Harry Potter Easter eggs to add some magic to your holiday. If you’ve been a reader of the blog then you’ll know that I love the Harry Potter series and that I love scrapbooking supplies. 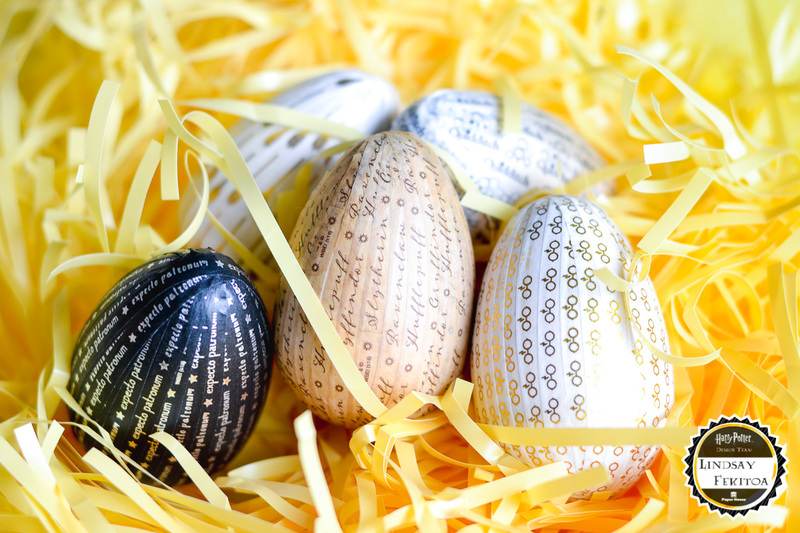 What better way to intermingle the two things I love and create a stellar project with just some Harry Potter Washi Tape and some wooden Easter Eggs. 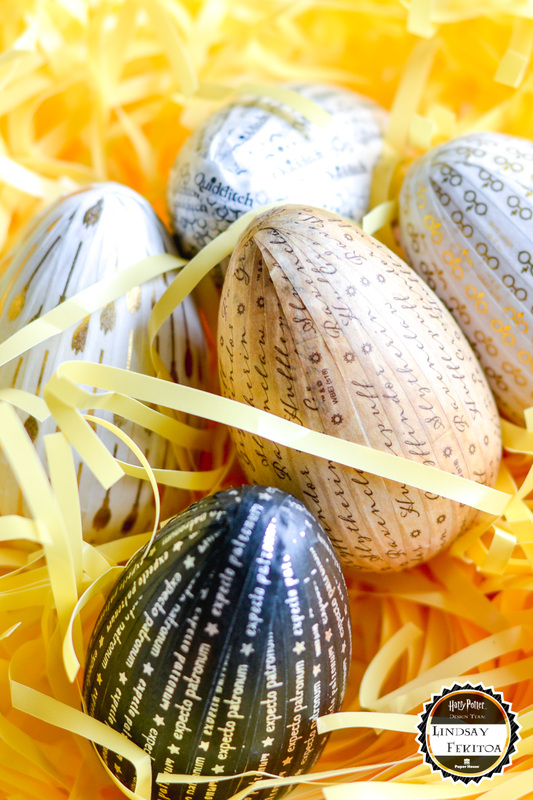 These Harry Potter Easter Eggs are perfect decor because they don’t spoil! When I was told that I would be on the Harry Potter Design Team with Paper House Productions, I was extremely excited. 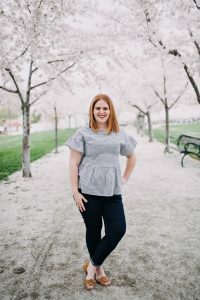 I love seeing where this little blog takes me and it also gives me an opportunity to share with you the products that I love. This Harry Potter scrapbook line is perfect for any wizard scrapbook layout or a simple enough Easter craft using some wooden eggs I got in the Target Dollar Spot. 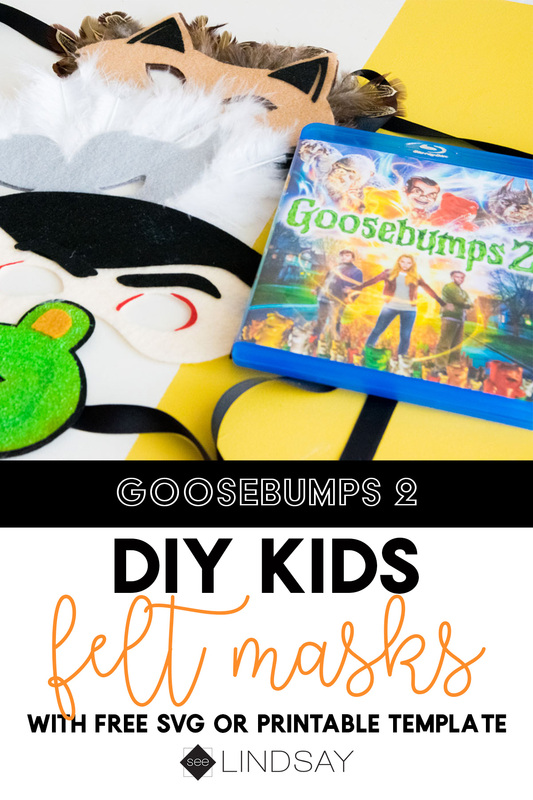 Read on to see how easy these were to make. 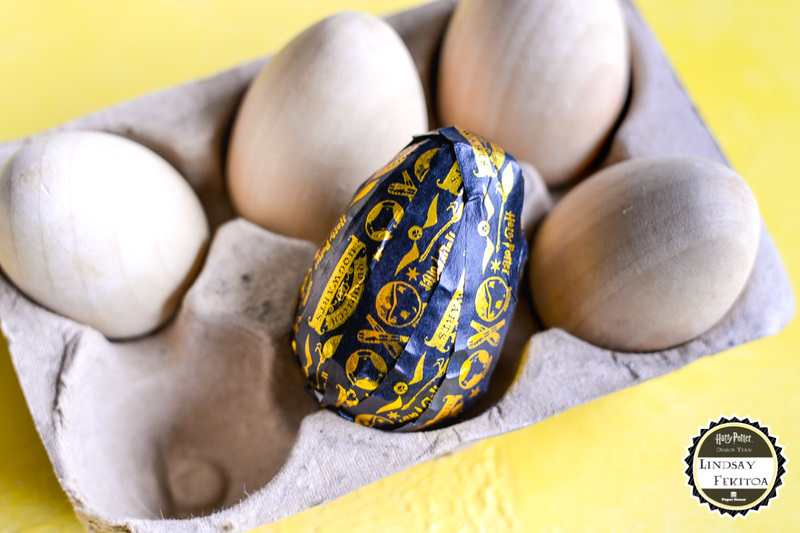 Start with a clean wooden egg and start your tape at the base and wrap around to cover the entirety of the egg. 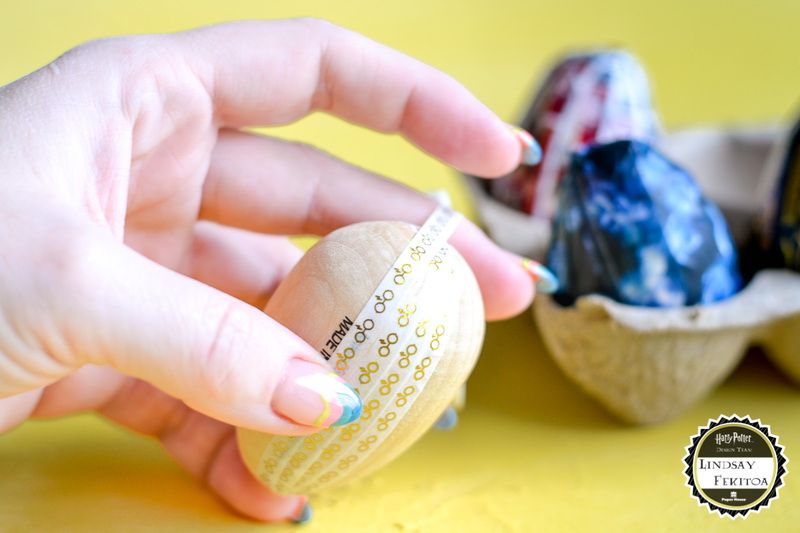 Use the smaller, thinner Harry Potter Washi Tape rather than the wider tape. The thinner one allows more of a snug adherence and the edges won’t lift like they do in the image below. 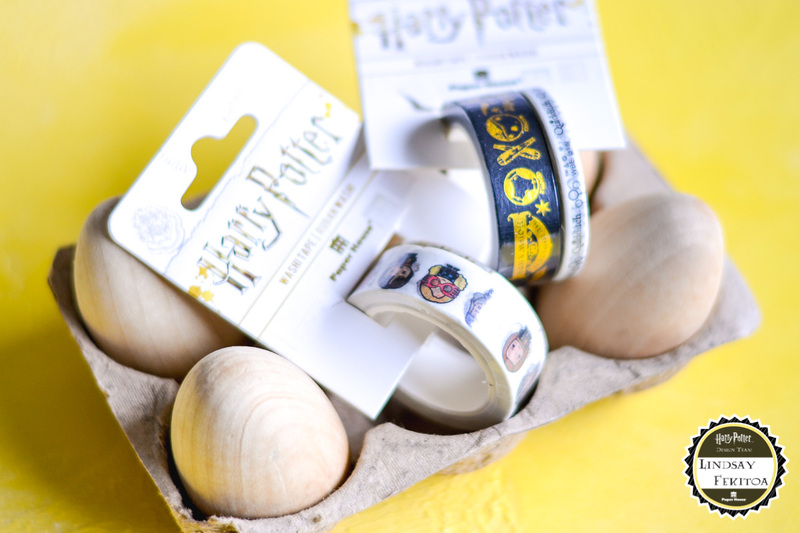 So tell me, what would you make using your Harry Potter Washi Tape? 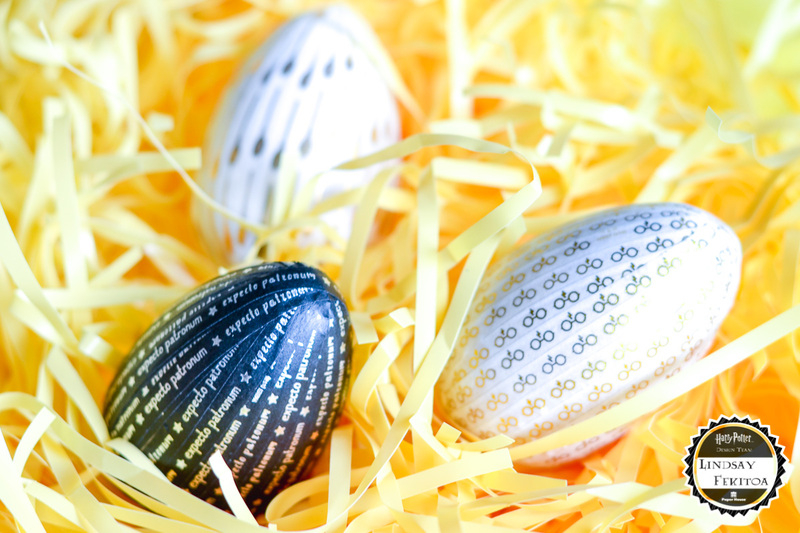 Would you make Easter eggs just as I did? See you guys next month with another Paper House Productions Harry Potter project. Check out all the other Paper House Productions Design Team projects here. These DIY Harry Potter socks are perfect for your next Harry Potter party. 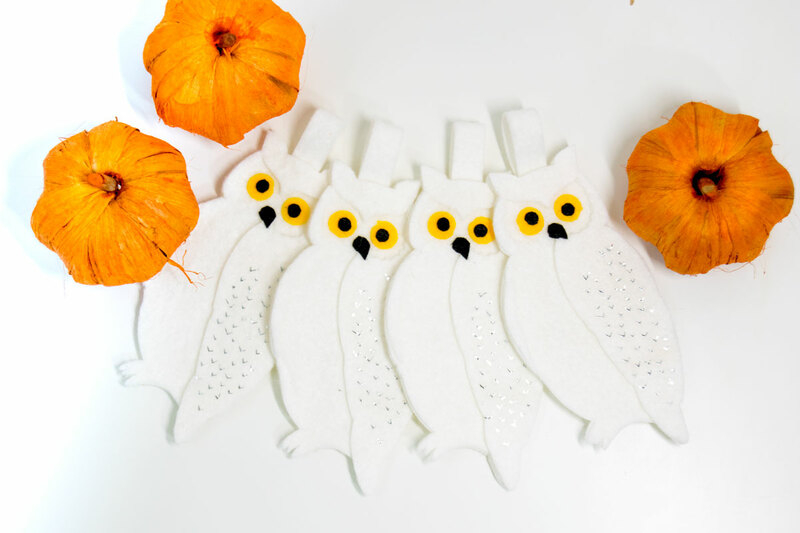 Create the perfect Harry Potter party favor and attach the free Harry Potter printable. This post contains affliate links. Thank you for your support. 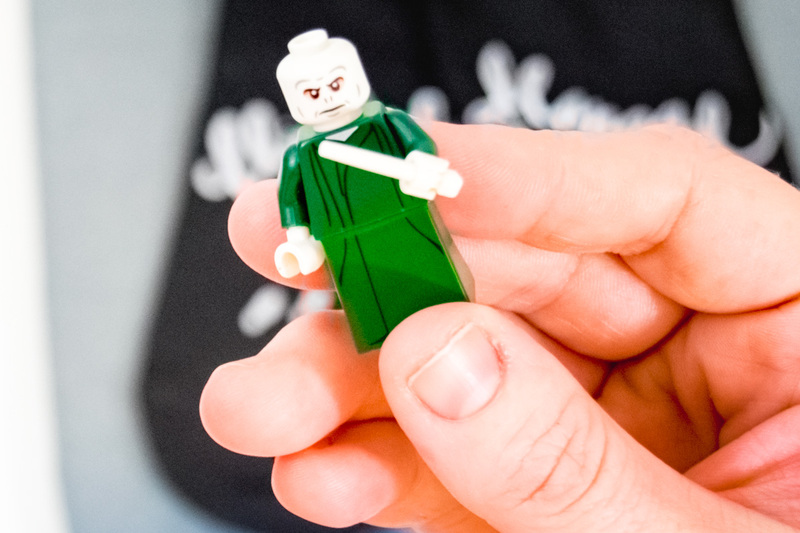 I’ve partnered up with LEGO to bring your next Harry Potter party to a whole new level. Create your very own Harry Potter socks and attach the LEGO Harry Potter printable to the top of the bag. 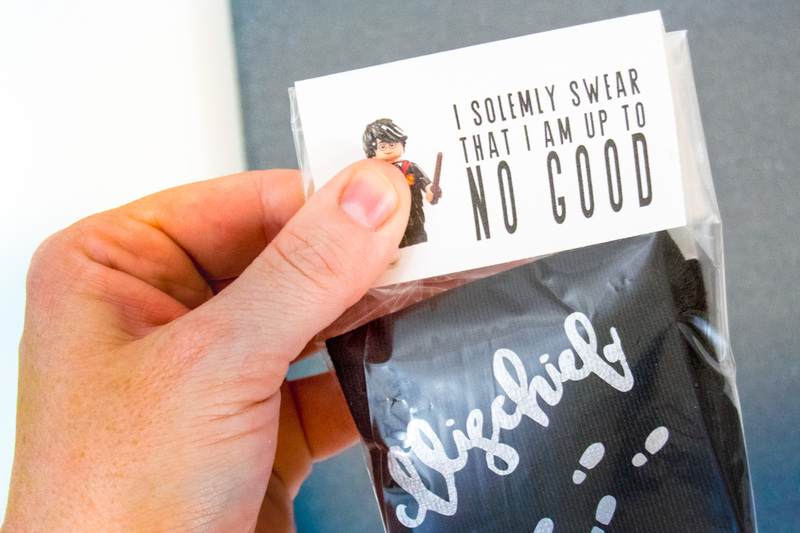 Manage your own Mischief with these Mischief Managed socks made with your Cricut. I don’t know if I’ve ever admitted that I’m addicted to any LEGO game and LEGO Harry Potter is my favorite of them all. I can’t decide if I like the Harry Potter years 1-4 or Harry Potter years 5-7 but they’re amazing. They’re even more amazing when you can be the only player in a family of 6. But now you can buy them both at the same time and you know I bought it again for my XBox One. 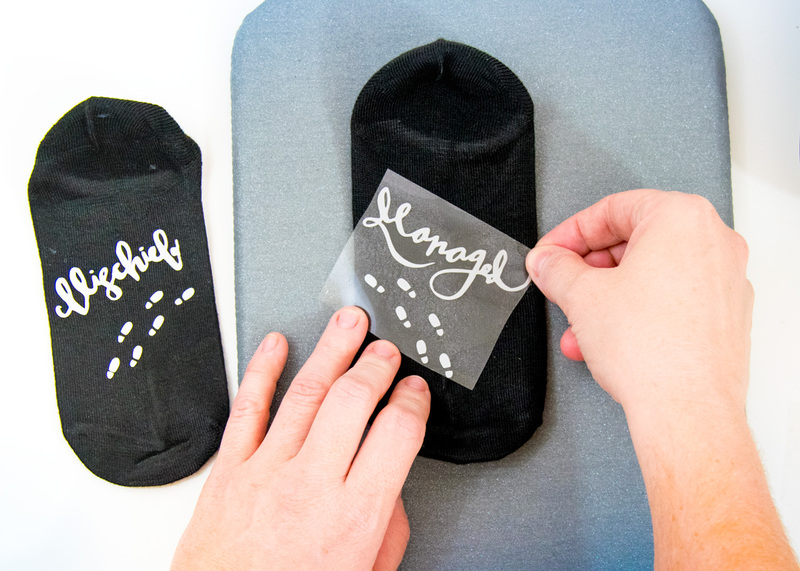 To make your Harry Potter party favors, cut the Mischief Managed picture with your electronic cutter. Be sure to mirror your image before it cuts. Lay your socks upside down on your surface. The opening will be on the table and the hole will be away from you. Pay attention to your sock position so that you can get your Mischief Managed socks facing the correct way. I use an EasyPress Mat but you can also use a folded towel. Use a surface that will help distribute even heat and won’t bend. Ironing boards are not ideal to use with the EasyPress. The middle easily bends and won’t allow you to get an even pressing. I use a wood board because that is what I have for my blogging backdrops. You can use your countertop but some materials will pull the heat from the EasyPress and the temperature will drop. Press your iron-on vinyl according to manufacturers instructions. 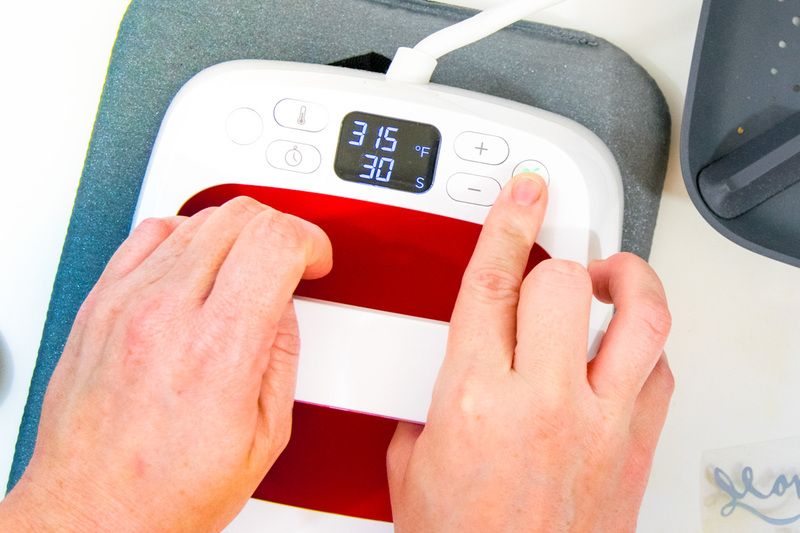 Cricut has a new interactive guide to what kind of heat setting you need and how long to press it using an iron or the EasyPress. If you’re going to use an iron, read this post on how to really get your iron-on vinyl to stay. 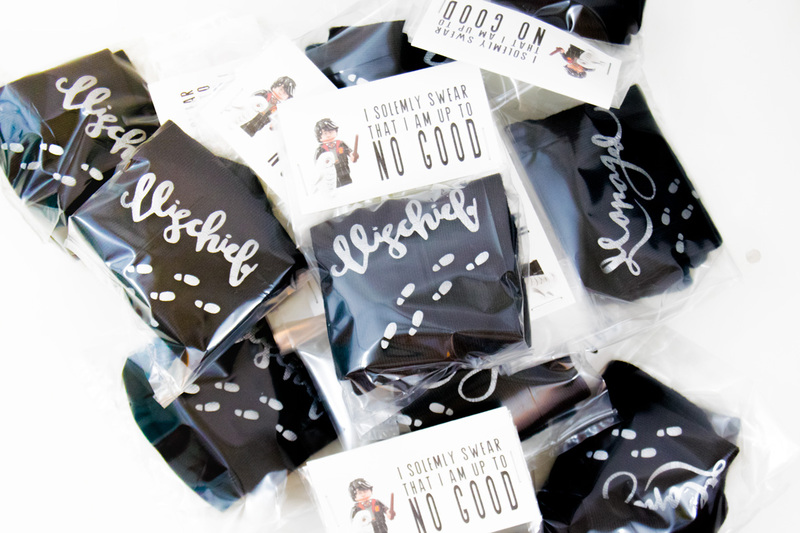 Once you’ve pressed your Mischief Managed socks, go ahead and fold them and place them into your cellophane bag. It’s easier if your cellophane bag is flat so that you won’t have issues when you go to staple your Harry Potter treat topper on. I love LEGO’s and they’ve been a favorite of my boys. Malakai even loves the smaller LEGO’s and that works great for his small motor skills. I have yet to figure out a LEGO storage situation in our house though. 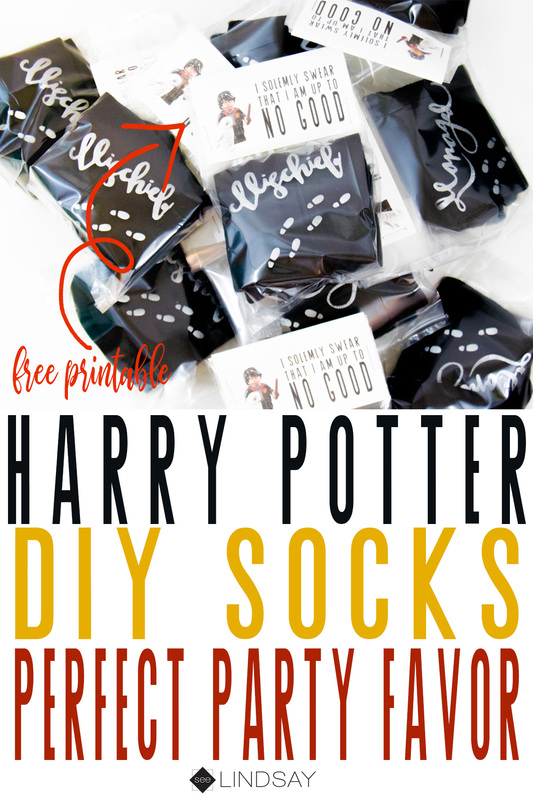 These Harry Potter socks are the perfect party favor. I’ve been having lots of Harry Potter fun with my Luna Lovegood confetti and I’m working on more felt ornaments for our Harry Potter Christmas tree to go along with Hedwig. Grab the free printable for personal use only below. 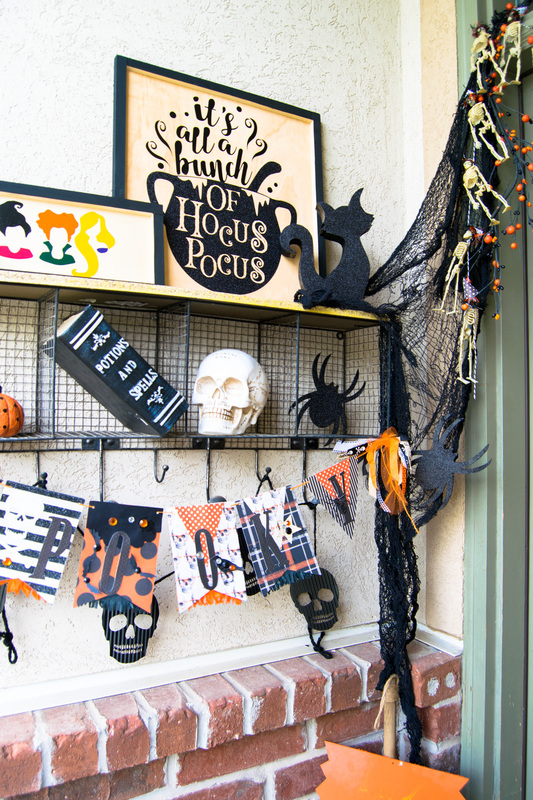 I love the movie Hocus Pocus so I had to make some Hocus Pocus decoration for my front porch. 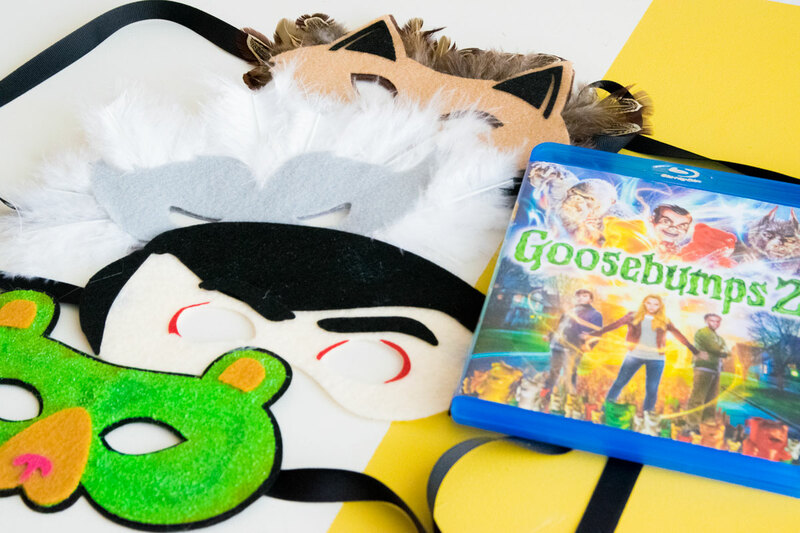 Halloween is the perfect time to bring out your inner Winifred. So with my Fibromyalgia, decorating for holidays is kind of rough on my body. I do a few hours at a time and then I have to rest for just about the same amount of time. Using my Cricut for things like this save me a lot of energy and time so it’s quickly become something I can’t live without. Although, I am ashamed I sent my son to school with his book report and he had drawn everything. I didn’t think I’d ever let anything out of the house that wasn’t perfect. That day was also a teaching moment to me that I don’t have to do everything for them and nothing has to be perfect. You just have to be happy. I’m perfectly happy with being imperfect. This year’s front porch for Halloween was no different than other times. I had to do something grand that I love but I also had to pick something that wasn’t going to make me lose my energy. 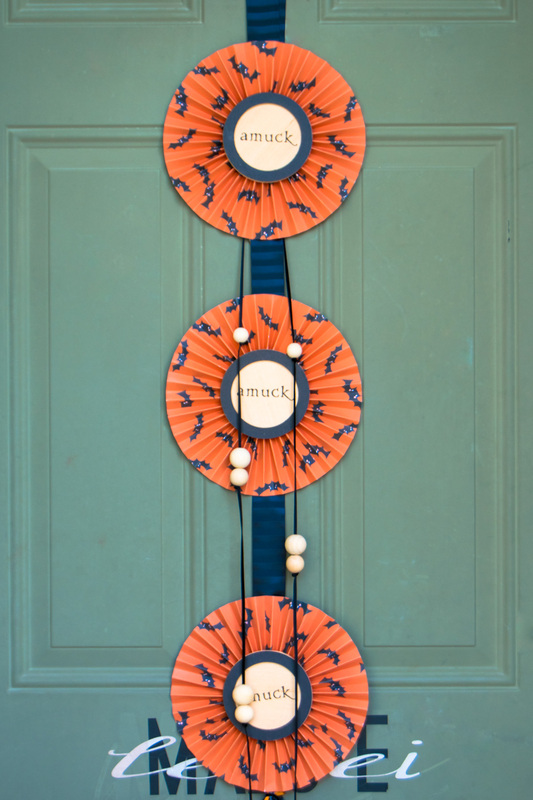 This front door Hocus Pocus decoration is just the right amount of project I can handle. So you first want to gather all your supplies and open the Cricut Design Space File. You’re going to need three of the blades that the Cricut Maker use. You’ll need the Knife Blade, the single Scoring Wheel and the Fine Point Blade. How do I cut wood with the Cricut Maker? To cut wood with your Cricut Maker you will need the Cricut Knife Blade. The blades on the knife blade are really sensitive so it will shatter if you’re not careful. Leave the cap on when it’s not in use to keep it from dulling. To prepare the wood you’ll need to use some masking tape and a Strong Grip Mat. 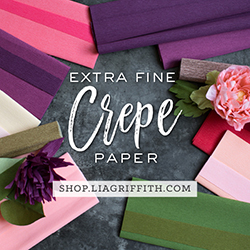 You want to tape your material to the actual mat because the knife blade makes several passes so that it can slowly build up the pressure between each pass and you don’t want your material to shift. Each time the Cricut Knife Blade passes, the pressure gets a little firmer so it is essentially working as a Xacto blade would work. You can’t just cut through wood with one pass and expect it not to split. 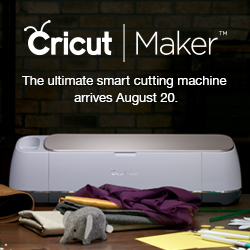 Load your knife blade into the Adaptive Tool System on your Cricut Maker. Place your piece of basswood on to your Strong Grip Mat and then use some masking tape and tape the edges down. Load it into your machine and select go. 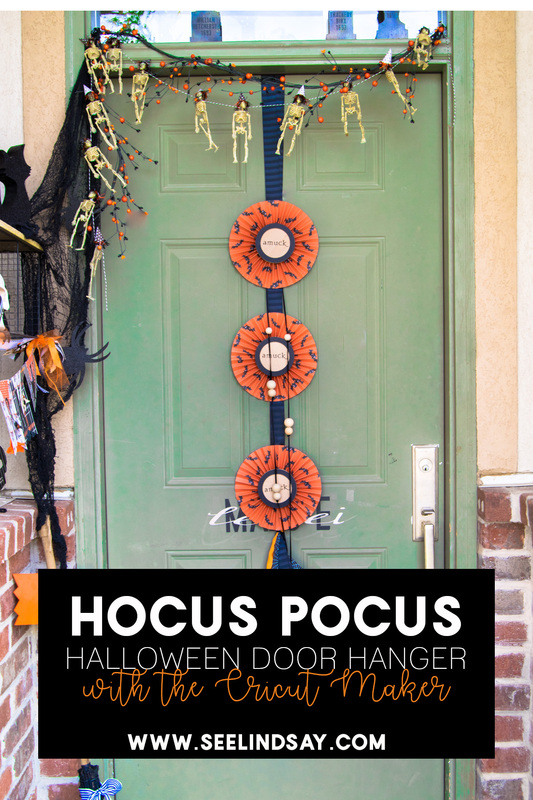 The Cricut Maker will take around 12 minutes to do three 4″ circles for your Hocus Pocus Halloween decoration. 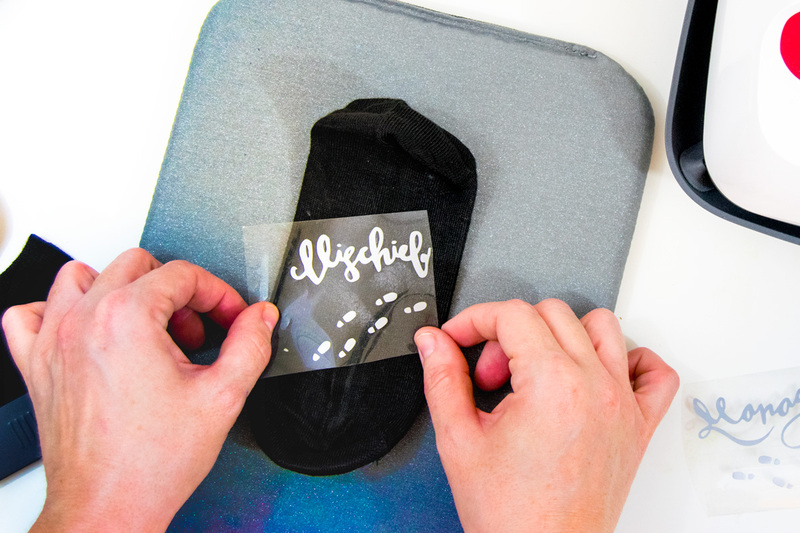 Use your glitter iron-on and the EasyPress 2 to get your iron-on vinyl to stick to the wood. I used a temp of 340° and I only did about 15 seconds. Any longer than that the wood would start to warp. If the wood warped under my EasyPress, I just flipped it over and pressed for a little bit longer to keep it hot and then placed something heavy on top so it would lay flat. What kind of glue can I use on Cricut Chipboard? 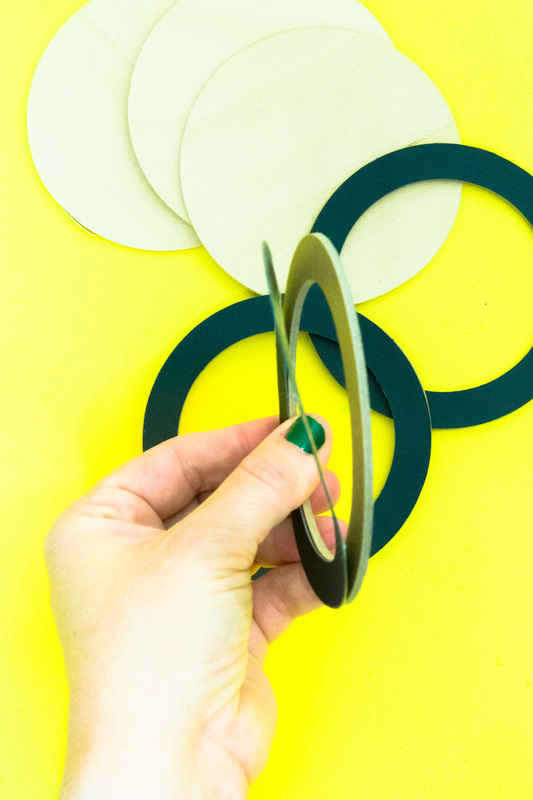 When you’re wanting to use glue on your Cricut Chipboard you have to choose if you want to use a wet adhesive like Mod Podge or if you want to use a dry adhesive like Xyron. You cannot mix the two on top of each other. When you want to paint chipboard, you want to seal it first. You can seal your Cricut Chipboard with some Mod Podge or spray sealant. Then you’ll paint as usual. For this project I used the black kraft board and ran those top circles through my Xyron, then on the other side I used some wood glue to adhere it to the wood circles. How do I assemble a paper fan? I used this really cute cardstock from My Minds Eye for the paper rosettes. 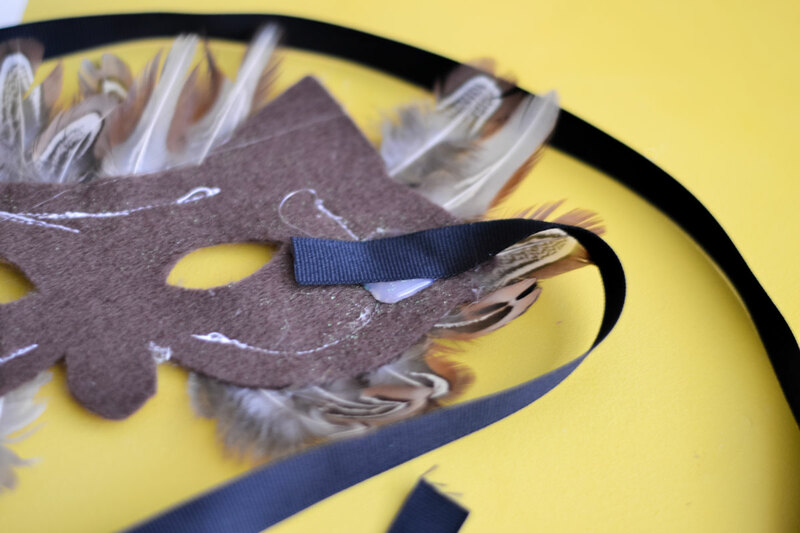 You’ll first put the rosette cardstock on your mat and then load in your scoring wheel. The project will score first and then it will require the fine point blade to cut the shape out. 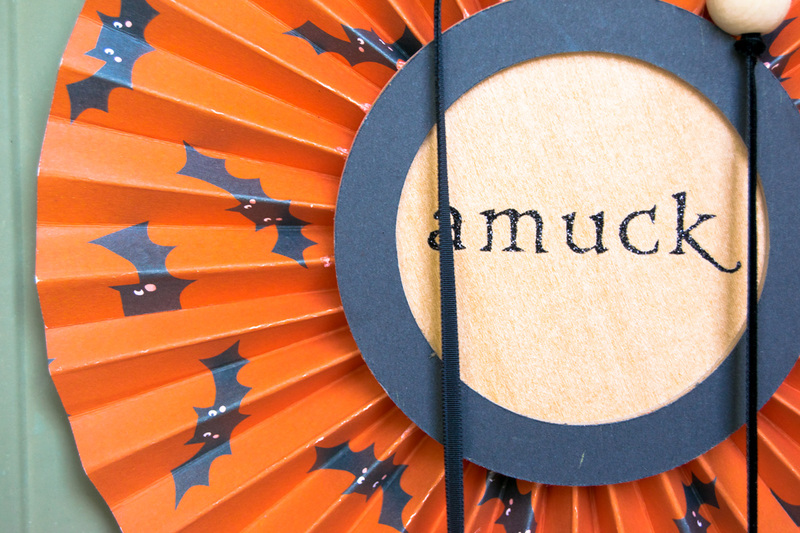 Accordion fold your paper rosettes and then add some scor tape along the ends to connect 3 of your fans together to form the rosette for your Hocus Pocus decoration. 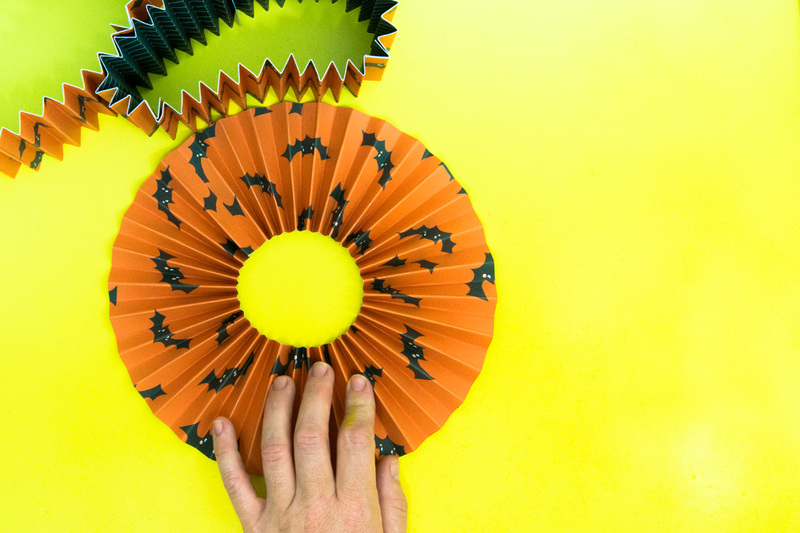 Now that you have the fans glued together end-to-end, it’s time to make it pop. Just press on the center of the accordions and your rosette will expand. 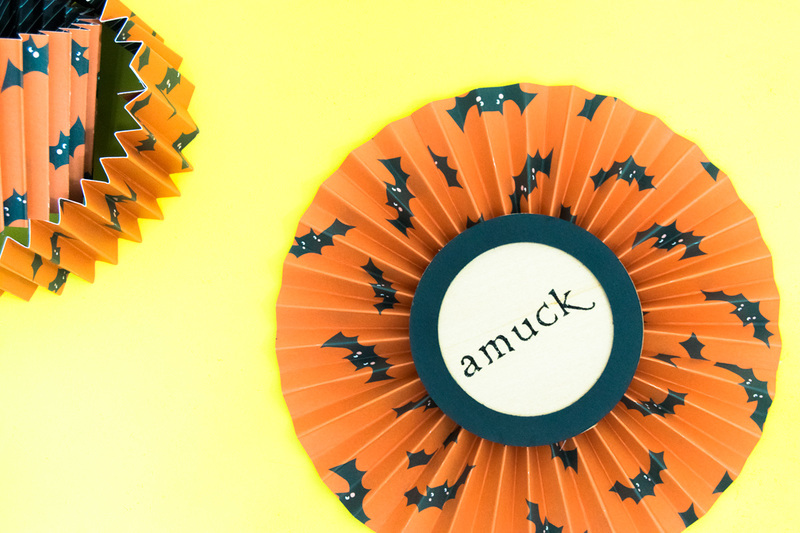 See here on how easy it is to make a paper rosette. 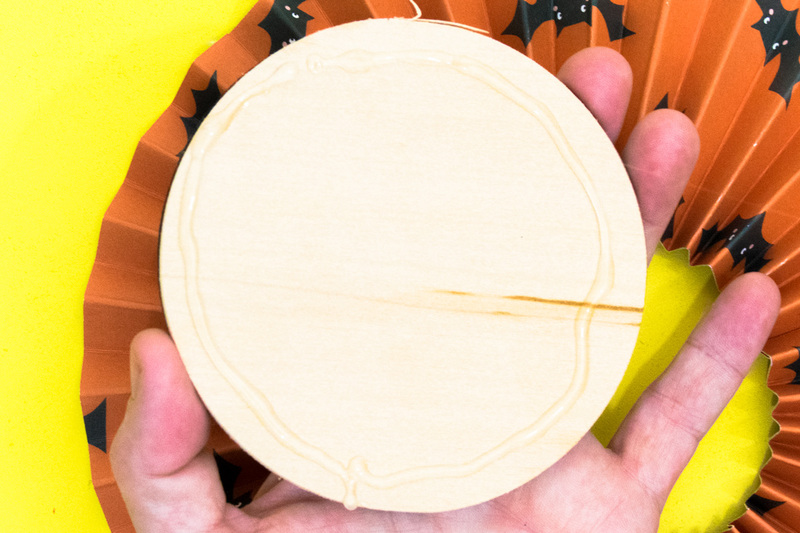 Use the round wooden circle and place some hot glue on the edges and lay it in the middle of your rosette. 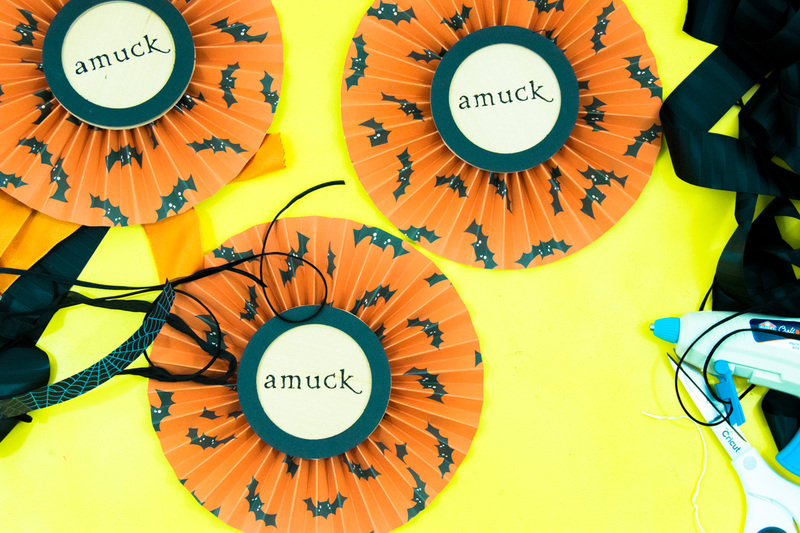 And now you’re ready to assemble your Hocus Pocus decoration. 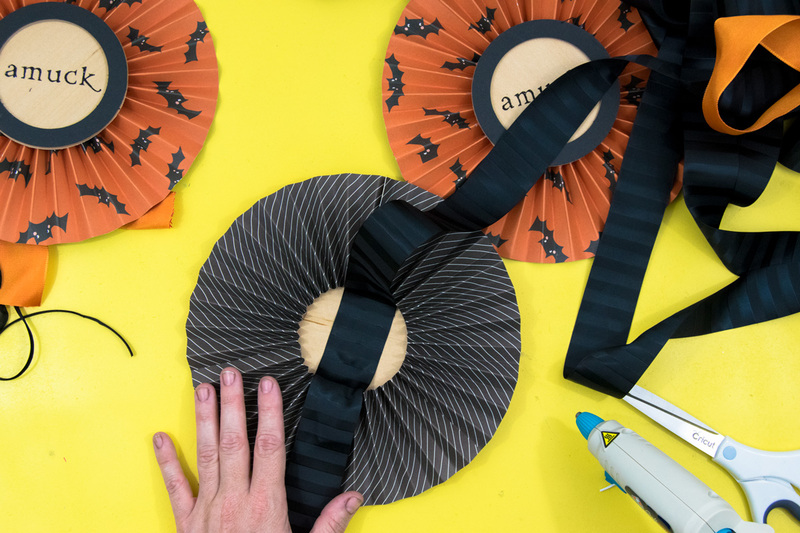 Use some 2″ wide ribbon and start at the bottom and work upwards. I left about 4″ in between each paper rosette. I used about 48″ at the top and then folded it back over to create a loop. What is better, the Cricut Explore or the Cricut Maker? 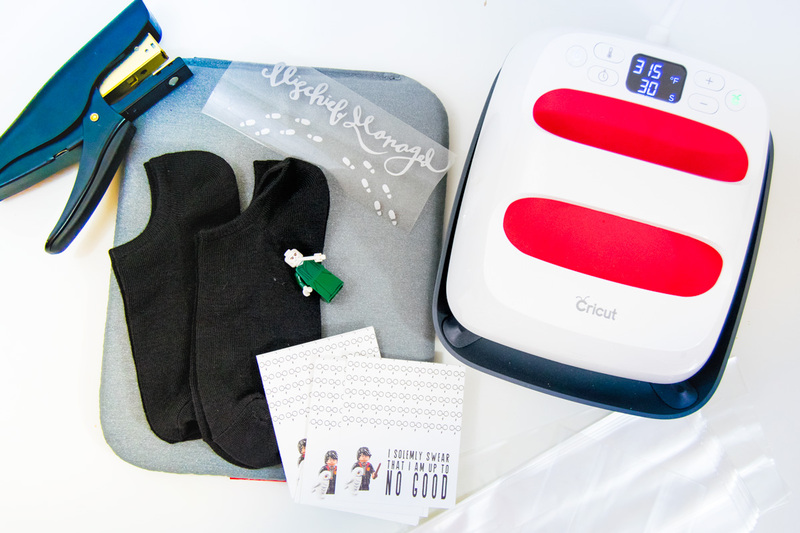 Confession – I have an Explore Air 2 and a Cricut Maker. While I love both, I’m always using the Maker and really only bring out the Air 2 when I’m in a rush and don’t want to wait to finish cutting one project at a time. I’ve used my Maker since August of 2017 when it was released and I sort of found that I love this machine more than I ever thought I would. The ability to cut basswood and now the scoring wheel can give me crisp and deep score lines has changed my crafting ways in the best way possible. The force of the Cricut Maker is greater than the Explore and so I feel like my cuts are cleaner and I don’t have to worry about double cutting my images as often. Celebrate the release of Christopher Robin by creating these easy Winnie The Pooh cupcakes. This post contains affiliate links. Thank you for your support. I grew up watching Winnie the Pooh and Piglet was always my favorite character. Next to Piglet, Pooh was a close second. I cannot wait to see the new Christopher Robin movie that will be released on August 3, 2018. I’ll be a mother of a 13-year-old by that point so the movie will be a good way for me to release tears. Making these Winnie the Pooh cupcakes was incredibly easy. I like to use some brown cupcake liners. These ones I’ve linked to above are especially great because they don’t leave any grease marks. You can also use the red ones I made them in. Make sure they are lined by a foil liner so that the grease doesn’t seep out. Just use your favorite chocolate cupcakes. You can use store-bought or make some using your favorite mix. Just double the ingredients for the fondant toppers below to make enough for one chocolate cake mix box. Frost your cupcakes with the buttercream. You can also buy store-bought frosting and perhaps even color it yellow to match the yellow fondant. Roll out your yellow fondant and cut them into 2″ circles. Roll small balls of the yellow fondant for his ears and a larger ball for his nose. To get your ears to stick to the face, brush a light amount of water on the back and then adhere it to the face. Use your #7 Wilton tip and create the face. Use the #6 Wilton tip to create Winnie the Pooh’s eyebrows. Place the face on top of the buttercream frosting and serve. 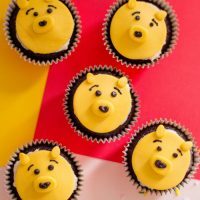 Celebrate the new Christopher Robin movie by making these amazing Winnie the Pooh cupcakes. Allow your cupcakes to cool completely before decorating. Line a baking sheet with wax paper and dust your working surface with a thin layer of cornstarch. Roll your fondant to be about ¼ of an inch thick and use your cookie cutter to cut out 12 fondant circles. Next, roll spheres about one inch in diameter, you’ll need twelve of these. Flatten them out and shape them into ovals. Roll 24 smaller spheres and shape them to look like Pooh’s ears (flat and pointed at one end). Using a stand mixer, beat butter, icing sugar, milk and vanilla extract until smooth. Use an offset spatula to frost each of your cupcakes. Assemble your fondant pieces: place your flat oval in the center of your large fondant circle. You can brush water on back of the oval so that it sticks onto the circle. Using Wilton tip #7, draw Pooh’s nose and eyes with black frosting. Switch to Wilton tip #6 and draw on his eyebrows. Place Pooh’s face on each cupcake and apply his ears (brush the back of each ear with water to secure it on his face). Use a small cup instead of a cookie cutter. I have waited 14 long years for the release of Disney-Pixar’s Incredibles II movie. 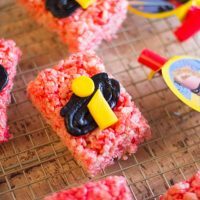 I know every child is going to want to have an Incredibles Party this year so I created these Incredibles Rice Krispie Treats. This post contains affiliate links. Thank you for your support. Make your Incredibles Party pop with these easy Incredibles Rice Krispie Treats. They pair perfectly with my Incredibles Oreos that I made a few weeks ago and just in time for the new Incredibles II movie release. Gather all your ingredients and set them aside. Melt together the butter and marshmallows and then remove from the heat. You can use your microwave as well but I like to make them on the stovetop. After you’ve melted the butter and marshmallows, add the cereal and the red food coloring. Give it a good mix and place them into an 8×8″ square pan. You can line it with parchment or use some non-stick vegetable oil spray. Making the I’s is something that I did with the Incredibles Oreo recipe. Just use some fondant and set them aside. You’ll want to spread the black icing just like the Incredibles Oreos and you’re more than welcome to just use yellow icing if you’re confident in your icing skills. That’s not something I am great at so I use the fondant. 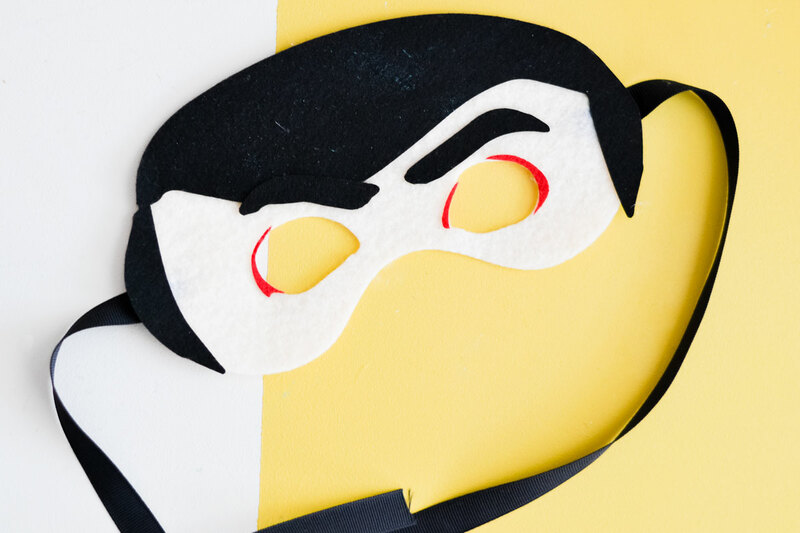 Create this perfect treat for any Incredibles Birthday Party or just celebrate the release of Disney Pixar's Incredibles II. I've waited 14 long years for this. Line a square pan (8x8) with wax paper and set aside. In a medium-sized pot, melt butter over medium heat. Add marshmallows and stir until completely melted. Add red food coloring and mix until completely colored. Add rice cereal into the mix and fold until cereal and marshmallow mixture are thoroughly combined. Evenly press the cereal treat mixture into your pan and allow to set. In the meantime, make fondant shapes. Roll out your yellow fondant so that it’s about ¼ an inch thick and cut out rectangular shapes, about an inch long and 1/3 of an inch wide. Cut one end of each rectangle at an angle. Using the end tip of a frosting tip, cut out mini circles. Cut each cereal treat into rectangles. Frost each one with a solid circle (on a slight angle) with your black buttercream. Decorate with your fondant pieces. 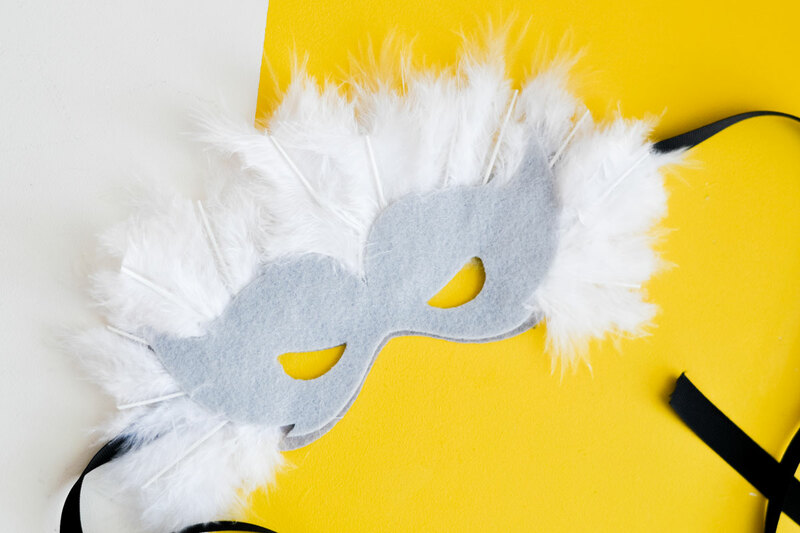 To celebrate the release of the new Cricut Wisteria Explore Air 2, exclusive to JOANN, make these awesome DIY Avenger Masks. Perfect timing for Avengers: Infinity War. This post contains affiliate links. At no extra cost to you, I receive a small commision. Thank you for your support. I just saw the movie this opening weekend and I usually don’t feel like they knocked my socks off. They did this time. 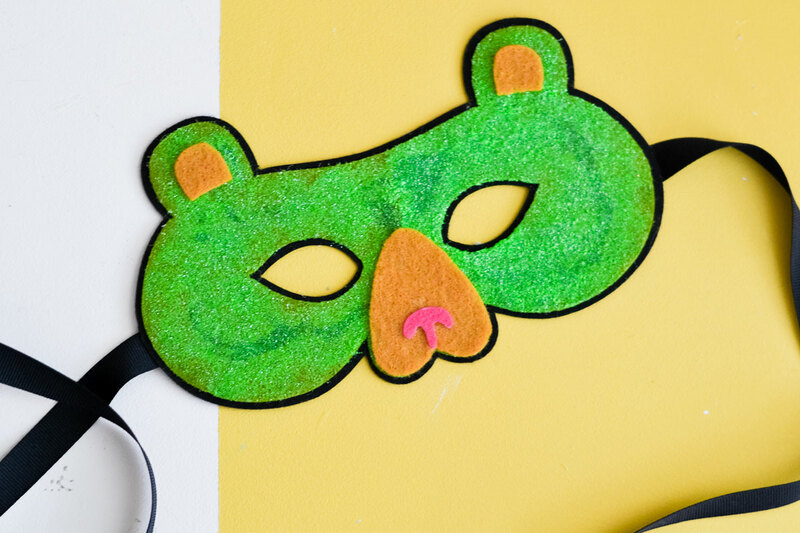 To show my excitement and Malakai’s excitement for seeing Hulk, we made him these paper Avengers masks using the new Cricut Wisteria Explore Air 2 Bundle available exclusively at JOANN stores. Mask Files available at the bottom of the post. I’ve been using the Cricut machines for over 4 years now and I cannot express how beautiful the new Wisteria Cricut Explore is. It has a metallic sheen to it and it looks beautiful in my craft room along with its sister, the Cricut Maker. 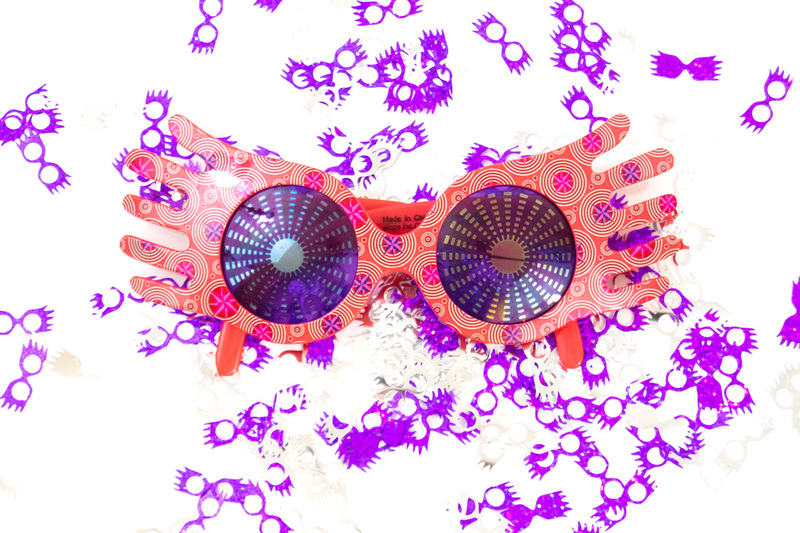 It fits perfect for the Pantone color of the year, Ultra Violet. I also love the Bluetooth capability so that I can easily use my mobile phone to cut my project. My desktop conked out a few months ago so my husband and I are sharing a laptop, not ideal but, it’s working because I have my mobile devices to use my Cricuts. I began by using the Print Then Cut method for my Cricut.To start, you want to first calibrate your machine so that you get a good, close cut. You also want your bleed lines to be on so that your cut line will be on the printed project. 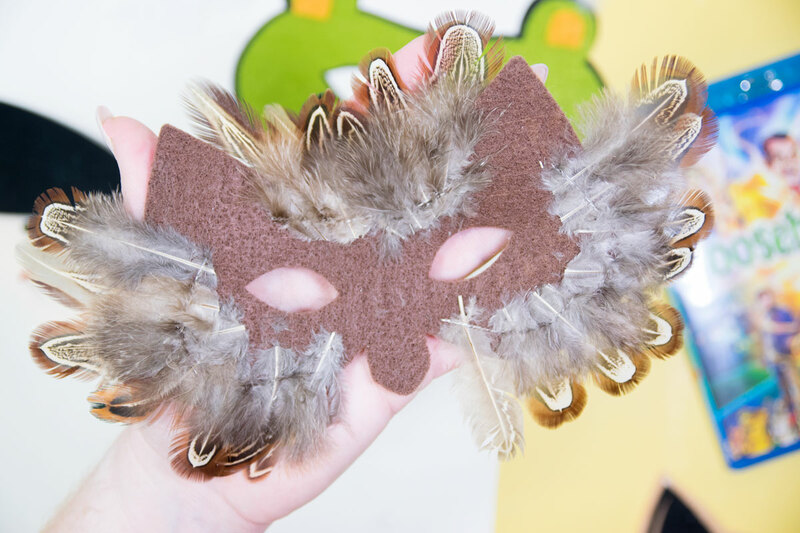 After you’ve printed your masks, you will place them on your included Light Grip Mat and set the smart dial to Cardstock. Your machine will begin by reading the registration lines and then it will begin cutting. 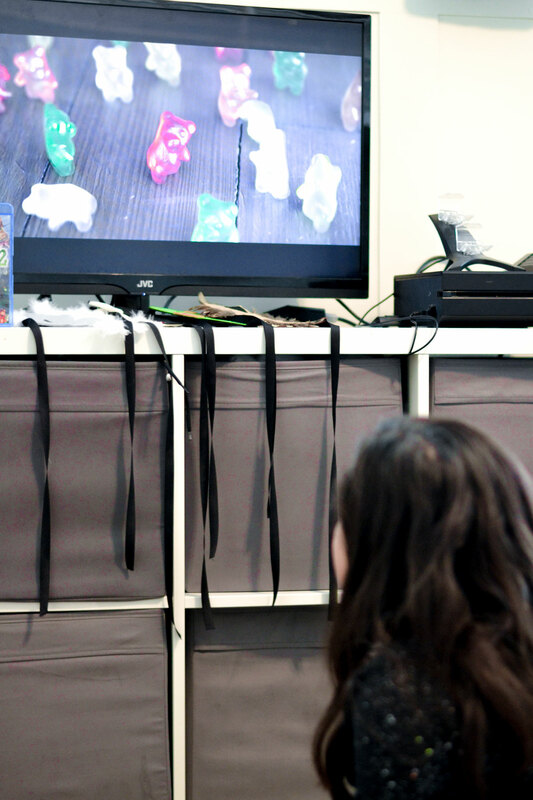 With your Explore models, you want to use white paper to print your items on. The Cricut Printable Vinyl is great for making stickers. I also love their thicker Printable Sticker Paper but it will not pull through my HP 8610 Printer. The easiest way to remove any paper from your Cricut mats is to bend your mat backwards and let the paper peel off. If you pull the paper directly, you will curl your paper and you can’t move on to your other part of the project until that’s resolved. 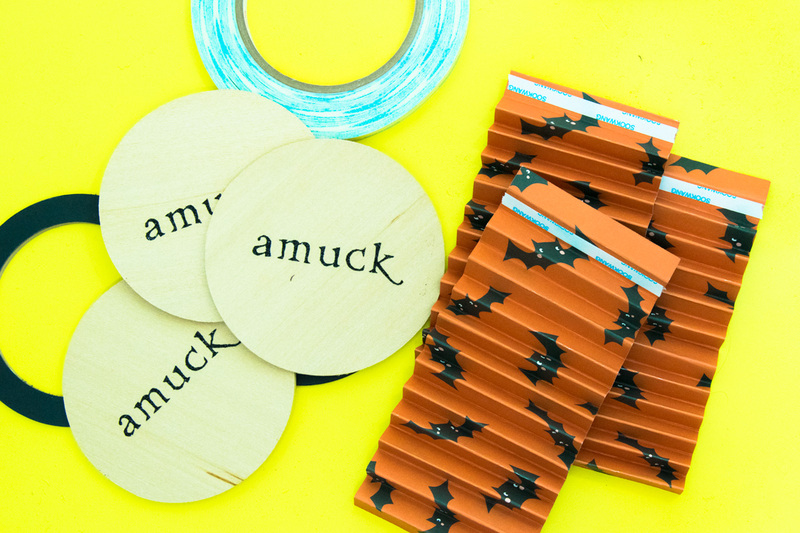 The cut file includes the hole so that you can easily add the elastic or twine. My son is two so there is no way he’s going to hold still enough for me to tie it on. He just holds it up and takes it right off. That’s why I love that they’re paper and easily made, I don’t feel bad if he only likes it for a few minutes. He’ll come back to it off-and-on for days.